Talking dolls are one of the hallmarks of childhood, but when your child is ready to take full advantage, how do you know which one to get? Talking dolls come in all different forms and capabilities, but your child’s perfect doll will depend a lot on their personality. In this list, you can discover a variety of talking dolls and find the perfect one for your child. Each one is an excellent addition to your child’s doll collection and will offer plenty of valuable play and experience. Let’s take a look. What Kind Of Talking Doll Do I Need? Should They Teach New Concepts? Let’s take a look at some wonderful talking dolls. Each should get your child imagining and playing in no time. The first sweet doll is a toddler style with plenty to say. She has a few phrases of her own, but the real draw is her recording option. Your child can press and hold the button on her tummy to record a few words, and the doll will repeat them back in her own funny voice. She comes with a bunny puppet and a sippy cup. Her whimsical outfit is colorful and removable including the jelly style sandals. She’s adorable and friendly looking with hair that’s perfect for fixing. It’s an excellent option for children who are creative or who may already have a talking doll and need something different. Ask Amy is a wonderful doll with lots of different features. She has many phrases designed to introduce your child to fun new concepts and encourage early learning. She recounts inspirational phrases and motivates your child to sing or even recite a poem or two. She comes in a variety of hair and eye colors and a few different cute outfit options. She has eight classic American songs and six poems she can teach your child, which is great for early literacy. She also helps your child learn early concepts such as numbers and letters. She even recites tongue twisters. All these features help your child develop early concepts as well as build emotional skills and empathy. Luvabella dolls have so many interactive features that it’s hard to know where to start. She makes facial expressions, reacts to your child’s actions, and comes with plenty of accessories that also help her interact. As your child plays with Luvabella, she learns words and phrases just like a real child would. She can expand her vocabulary to over 100 words and phrases. She responds to touch and interaction either alone or with her accessories. She comes with a spoon, bottle, pacifier, and lamb toy. Children can feed, burp, and soothe her in addition to talking and interacting. 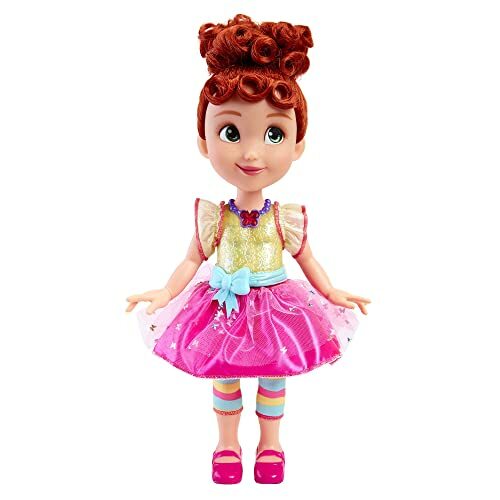 Fancy Nancy has over 35 phrases that she says plus six colorful lights to highlight her personality. She sings her theme song and comes with several accessories your child can use to dress her up or down just like her show. The phrases teach your child early social skills while the fun lights keep his or her attention. 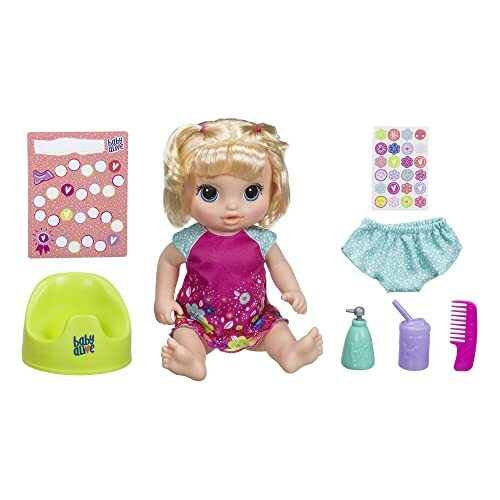 The doll has a fun outfit full of bright colors and exciting fabrics and comes with two tiaras, one pair of leggings, one pair of butterfly glasses, a purse, a boa, and an interactive bracelet for your child. If your child is on the verge of potty training, this interactive doll could be a great option. She goes to the bathroom once you feed her water from her bottle and says several phrases in English or Spanish options. SHe even has the choice of «talking» to mommy or daddy. She comes with a plastic potty, a sippy cup, an interactive sticker chart, and a bottle of hand sanitizer (pretend). Your child can brush her hair and care for her as he or she learns to go to the potty along with her. Children these days are dying to get their hands on technology and a talking doll that doesn’t have a phone? Maybe not so exciting. 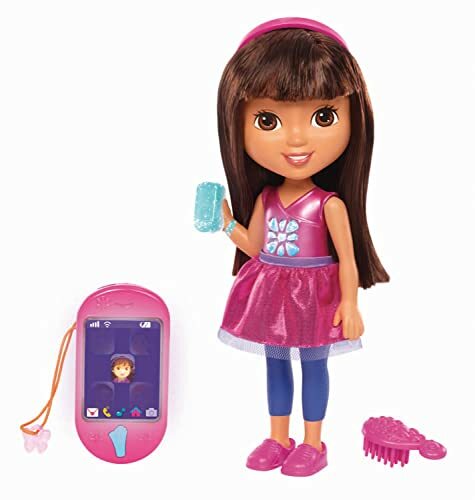 Dora’s talking doll option comes with a smartphone accessory for Dora and one your child can use to talk to Dora and her friends. Dora is dressed in her signature outfit and includes a brush so your child can keep up with her hair. The smartphone accessory allows your child to hear Dora’s phrases and that of her friends on her show. As your child interacts, the doll also responds, lighting up and saying over 50 words and phrases. If your child is just getting into dolls, you want something that interacts and provides the comfort small children need. Baby’s First Little Talker is a soft-bodied doll from one of the country’s oldest doll makers. She says 20 random phrases when your child squeezes her tummy and is gently machine washable. She’s 12 inches, which is a great size for children learning to walk. She’s easily carried and has a vocal box in an accessible pocket. You can remove the box when it’s time to sleep or when you need to wash the doll. She’s adorable and cuddly and a perfect first talking doll. 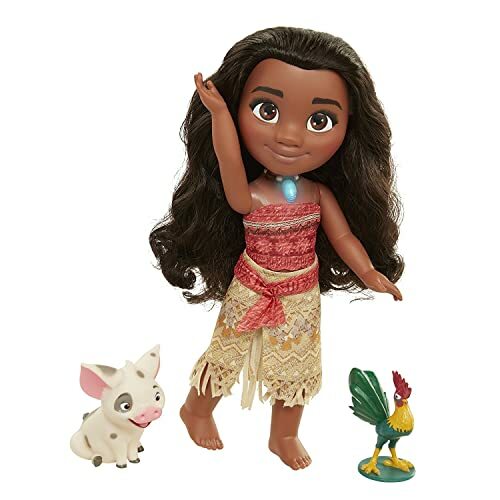 If your child is a fan of Disney, this Moana doll should be an excellent choice. When your child pushes Moana’s shell necklace, she says phrases from the move and sings her iconic song «How Far I’ll Go.” Her necklace even lights up. Moana comes wearing her classic outfit and has both Pua and Hei Hei friends. She requires three AAA batteries and says 12 phrases from the movie your child loves. She’s simple to wipe clean and is 14 inches high. 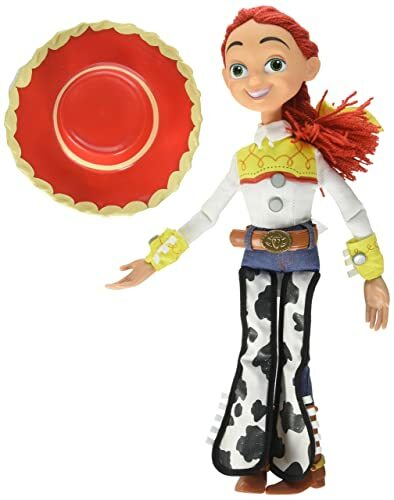 Pixar’s classic film Toy Story produced one of the most beloved characters of all time, Jessie the Cowgirl. Your child can have his or her very own Jessie with this Disney approved figure. Your child can pull the string just like the movie and hear over 30 phrases from Jessie’s movies. She’s soft with yarn hair and a removable cowboy hat. All the details are just like the Jessie doll from the movie, giving your child both the advantage of the talking doll with the features he or she has come to love from Toy Story. 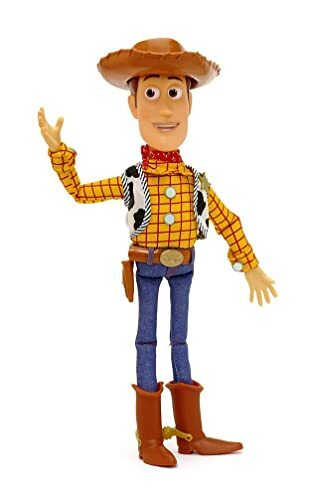 If Jessie isn’t enough, Woody should complete the collection. This doll is the partner to Jessie and also includes the nostalgic string that operates the vocal box. He says 19 different phrases and has a soft body with hard construction cowboy boots and hat. He’s authentic Disney store merchandise and offers children an excellent option for one of the most familiar dolls of all time. Woody is great on his own or as a companion to the Jessie doll. includes boots, hat, and the hard construction head. Talking dolls aren’t a necessity, but they do offer kids a unique chance to build both social skills and proper developmental skills like speech. They can introduce new concepts in math and language and teach kids a variety of things. A lot of your decision will depend on how old your child is. Younger children don’t need a lot of interaction, only simple words, and phrases. Talking dolls at this age teach cause and effect, helping your child to stay engaged. Younger children also need more comfort than older children (from dolls), so soft-bodied dolls are better options. As your child gets older and more mature, talking dolls can get more complicated. Older children could be ready for dolls that respond to stimuli because they’re engaged in more dramatic play. This style encourages them to develop critical social skills such as empathy and provides them the chance to take on a caregiving role. Consider your child’s mental development and age range to purchase a suitable doll. There are many dolls ranging from simple to complex. Also, there’s a good chance your child can get a talking doll in a favorite character such as Moana or Jessie. Some of the more complex dolls come with accessories that also interact. 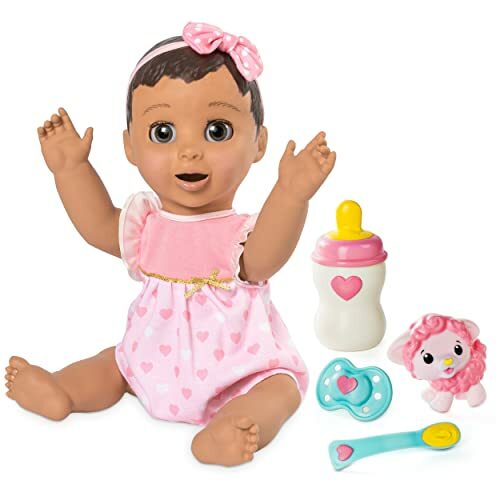 Dolls like Luvabella have bottles and pacifiers that the doll interacts with, giving your child practice with caregiving and a better understanding of cause and effect. Accessories aren’t essential, however. 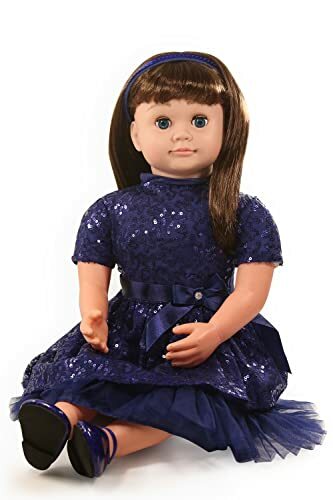 Some dolls are simple talking dolls, saying words and phrases with just the push of a button, and your child may be able to use accessories he or she already has to play without losing some of the appeal. Again, it depends. A considerable part of your talking doll is the ability to teach your child empathy and cause and effect. Children engage in imaginative play to help learn about the world and work out complicated concepts, so a talking doll helps to keep your child involved in the play. If your doll teaches ABC’s, great. If it doesn’t, your child can always learn that somewhere else. Early literacy and math skills are also highly dependent on the child’s mental development and environment. The most significant factor is if your child is ready to learn those types of concepts and do they have reinforcement. Sometimes, it’s the interaction with mom, dad, siblings, or other caregivers that really begin to solidify early math and literacy rather than a doll. If you decide to go with a simple talking doll, you aren’t going to harm your child’s development any more than your child is sure to learn only from a doll. It all depends on your child’s personality and developmental milestones. Talking dolls are fun new additions to your child’s toy collection and can help your child stay engaged with play time, providing exciting new elements to imaginative games. Talking dolls can be simple or complex as you need, and there are plenty of options to give your child the best experience.